Good day to all! We are two bearded brothers, Ike and Luke, who are new to this forum. 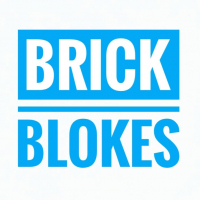 We recently started a lego speed build and review YouTube channel called Brick Blokes. We'd love it if you checked us out and subscribed. Like I said, we just started, so your support during this kickoff time is much appreciated! We're hoping to increase our quality, fun factor, and variety of videos as we go. We both played with alot of LEGOs as kids. Ike was into the old Wild West sets (Fort Legoredo!!) And Luke mainly collected Star Wars. But, we moved away rom home and all the LEGOs stayed for our younger brother and sister. I guess we're kinda starting over. Does anyone else relate to that experience? Haha! Thanks for the opportunity to introduce ourselves.